It is well established that weigh gain is controlled by key hormones in your body. These hormones send hunger and satiety signals to your brain. They let you know when to eat and when to stop eating. A dysregulation of these hormones can make people excessively hungry with no satiety signal ever hitting the brain. It is virtually impossible to ignore these signals, which is why most diets fail. 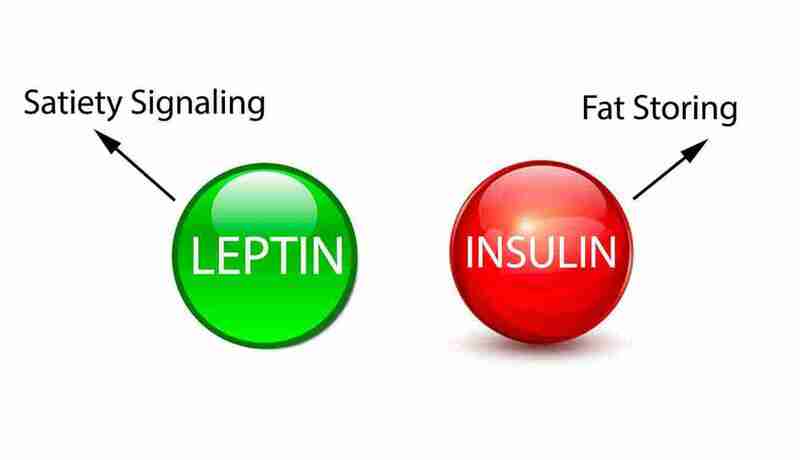 Leptin is a hormone that is secreted by fat cells, It sends a signal to the brain that we have enough stored energy and that we don't need to eat (1). The more fat you have, the higher levels of leptin you have and the less hungry you should be. The issue with most overweight people is that the leptin signal does not reach the brain. This tricks your brain into thinking you have little stored body fat and the brain releases more hunger hormones to make you eat. This is known as leptin resistance and believed to be the leading driver of obesity (2). Using willpower to ignore the leptin resistance hunger is almost impossible because your brain believes you are starving to death. Another key hormone that drives fat storage is Insulin. This hormone helps shuttle nutrients and energy from your bloodstream into your cells. Insulin decides if the energy from food should be stored as fat or glycogen (muscle energy). Chronically elevated insulin levels block leptin receptors in the brain, leading to leptin resistance which tricks your brain into thinking its starving (3). Insulin also tells fat cells to store more fat and hold onto all the fat it has. What causes insulin to go up? Insulin is released from the pancreas when we eat or drink carbohydrates and too much protein. Elevated insulin levels are caused from excess refined carbohydrates in the diet from sugar, bread, soft drinks, sauces, pasta, pizza, flour, cereal, alcohol etc. Chronically elevated insulin levels lead to insulin resistance (4) (5), meaning your cells stop responding to the insulin signal. Restricting dietary carbohydrates is the best way to reduce insulin levels and several studies show this can have a dramatic weight loss effect (6) (7) (8).